If you want to make significantly better beer, you need to focus on water chemistry. Beer is 90% to 95% water. So yeah, it’s freaking important. Conventional wisdom says you should focus on water chemistry last in your brewing career, but we recommend starting much sooner because brewing water chemistry has drastic effects on your beer. Just ask the guys from Brülosophy. They’ve been running experiments and determined that water chemistry really matters. But here’s the rub: water chemistry is confusing. Ironically, the seemingly simplest element in the world is the most complex. But it doesn’t have to be. The ins and outs of brewing water can be simplified to allow you to experiment with your own brews. Or, you can totally nerd out on the science. It’s up to you. The first thing you need to do before you start messing with water chemistry is to get a base mineral profile of the water you’ll use for your beer. You can do this by using either bottled water or your own tap water. If you decide to use bottled water, you can choose between spring water and distilled/RO (reverse osmosis). Spring water contains minerals, just like tap water, so if you want to build a water profile with bottled spring water, you’ll have to contact the bottler to learn the existing mineral content. Distilled or RO water is like working with a blank sheet of paper. It contains no minerals, so you can build your water profile from scratch. You have three options to learn the mineral profile of your tap water. Contact your local water department, and ask for the most recent report. Let them know you’re using the water for homebrewing. Some places even have special reports for brewing water. 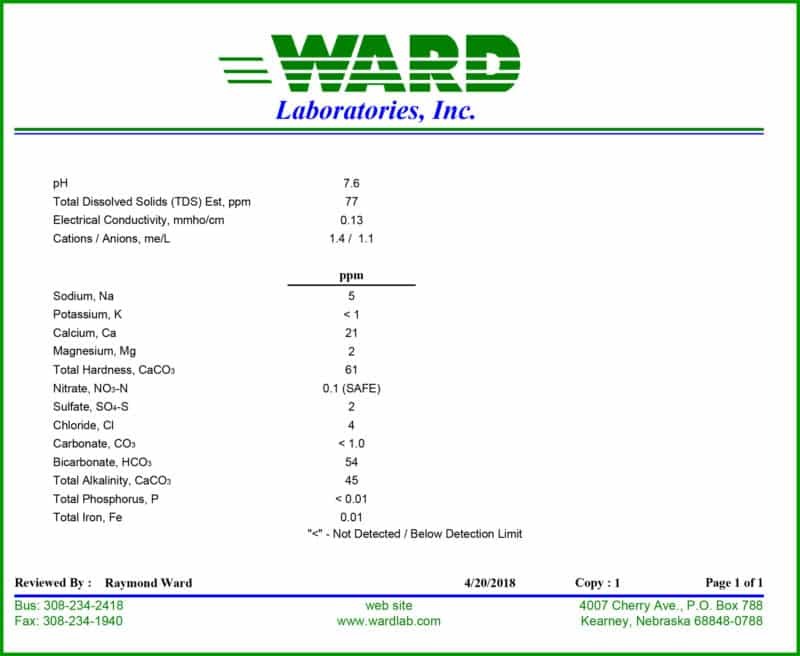 Send a sample of your water to a company like Ward Labs. 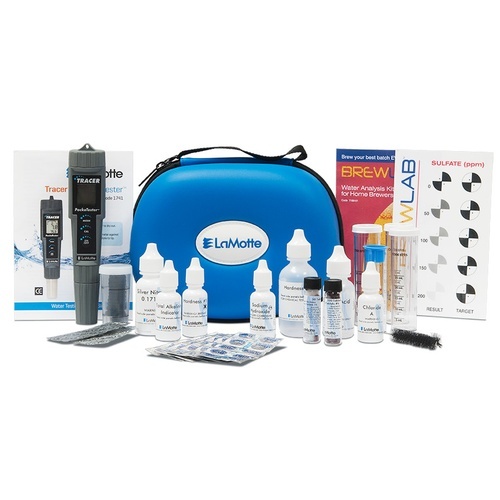 For about $45, they’ll send you a test kit that includes a water sample bottle. You run your tap water for about five minutes, collect the sample, and ship it back to the lab for an analysis. The cost of the kit also covers the shipping. In about a week, you’ll receive a water report. 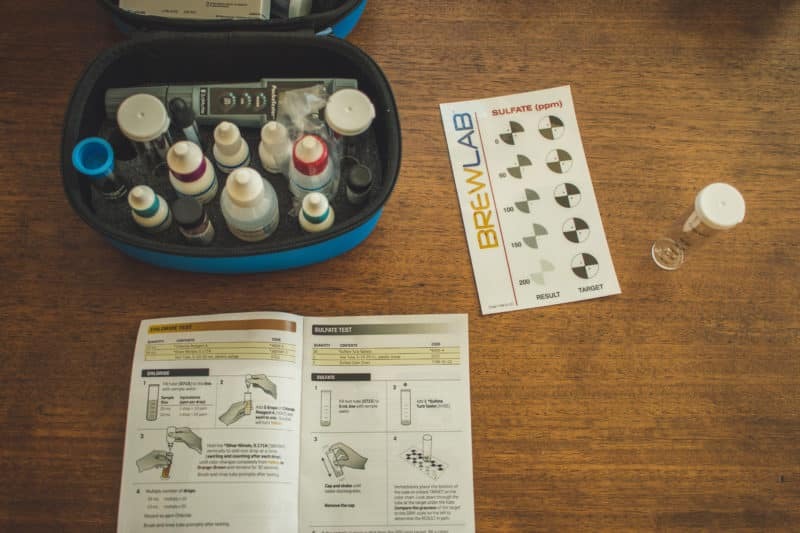 You can buy a home water test kit specifically for brewing If you click this link and make a purchase, we earn a commission at no additional cost to you. from LaMotte. They were kind enough to send us a sample kit so we could check it out. So What’s in Your Water, Anyway? The key to knowing whether your water can be used for brewing is knowing those items’ levels and amounts. The measurement of your water’s acidity or basicity is its pH. It’s measured on a scale from 1 to 14, with 7 being neutral. Lemon juice is acidic and has a pH of around 2. Baking soda is basic and has a pH of around 9. The best example of neutral pH is your tears. When you cry, your eyes don’t burn because they are perfectly pH balanced. If you practice all grain brewing, knowing your starting pH is important because when you mash, the pH matters. Your mash pH should be between 5.2 and 5.6—yes, just a little acidic. This helps the sugar conversions from the grain. If the mash pH is too high, you can extract tannins and bad flavors from your mash. Too low, and you have a tart beer. Ok, but what about alkalinity? You can think of alkalinity as pH’s bodyguard. It’s a buffer. So if you have a ph of 7.6 (typical for drinking water) and a high alkalinity reading of 125 parts per million (ppm), it’s gonna take a lot more acid to bring down your pH because the alkalinity is protecting it. These are the two biggest measurements you’ll be dealing with when building your water profile to fit the style of beer you’re brewing. You might have heard the phrase “chloride to sulfate ratio.” This is the amount of chloride vs. sulfate in your water. The more chloride, the more malt flavors shine. Enhances fullness and malt sweetness. The more sulfate, the more hops bitterness shines. Produces a drier beer. Calcium and magnesium determine how hard the water is. The more of those minerals, the harder the water is. Hard water enhances yeast flocculation, hot break, and prevents beer stone. Sodium is salt. It rounds out the malt flavors. But too much, and your beer will taste, well, salty. Nothing wrong with that if it fits the style, though. You want to keep a handful of chemicals and salts on hand to build your profiles. Potassium Metabisulphite or Campden Tablets If you click this link and make a purchase, we earn a commission at no additional cost to you. : One small dose of this stuff will get rid of chlorine or chloramines in your water. You don’t want your beer to have either of those in it, or it’ll taste bad. You don’t need to add this to every batch, but you may want to, just as an insurance policy. 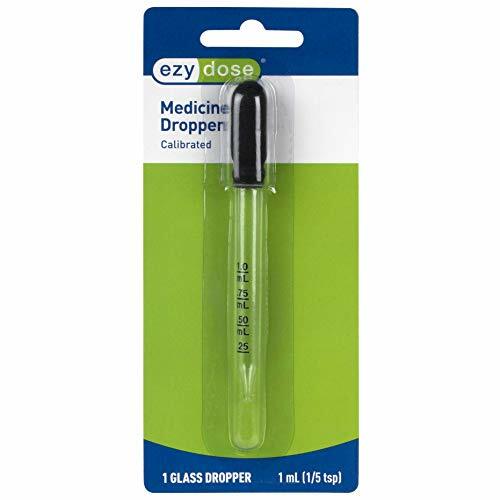 It doesn’t hurt, and you only need about 500mg. Gypsum If you click this link and make a purchase, we earn a commission at no additional cost to you. (calcium sulfate): This increases calcium and sulfates. It’ll also slightly lower mash pH. Calcium Chloride If you click this link and make a purchase, we earn a commission at no additional cost to you. : This increases calcium and chloride. It’ll also slightly lower mash pH. Epsom Salt If you click this link and make a purchase, we earn a commission at no additional cost to you. 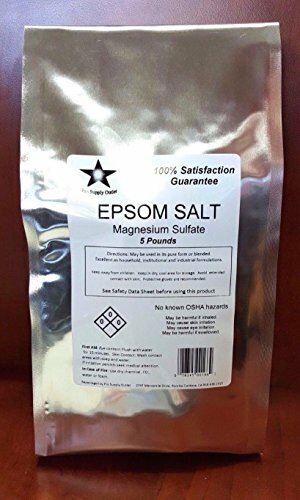 (magnesium sulfate): This increases – you guessed it – magnesium and sulfate. Make sure you get the food-grade variety. Non-Iodized Table Salt If you click this link and make a purchase, we earn a commission at no additional cost to you. : This increases sodium. Be sure it’s non-iodized. Baking Soda If you click this link and make a purchase, we earn a commission at no additional cost to you. : This increases alkalinity and mash pH. Lactic or Phosphoric Acid If you click this link and make a purchase, we earn a commission at no additional cost to you. : This decreases mash pH. You might not need all of these things depending on your water and what type of beers you brew. But to be honest, they’re cheap and easy to keep around the house. Heck, you can soak your aching joints in Epsom salt while enjoying an apple pie made with salt and baking soda, right? Right. Luckily, we don’t have to wrack our brains trying to figure all this out because we have tools to do these complex calculations for us. If you’re a serious brewer who wants to make a good beer (and who wants to make a bad beer?! ), you need tools to help you be precise with your measurements. To measure your mash pH and make sure you’re hitting your target of 5.2 to 5.6, you need a high-quality digital pH meter If you click this link and make a purchase, we earn a commission at no additional cost to you. . “Test strips are for amateurs” according to Water: A Comprehensive Guide for Brewers If you click this link and make a purchase, we earn a commission at no additional cost to you. by John Palmer and Colin Kaminski. And not all pH meters are the same. You need a good one that can measure pH quickly in any temperature and has dual calibration for the best accuracy. It won’t be cheap, and that’s a good thing. You’re getting what you pay for. Remember you’re also going to need storage solution If you click this link and make a purchase, we earn a commission at no additional cost to you. and calibration solutions If you click this link and make a purchase, we earn a commission at no additional cost to you. .
To use your pH meter, after you’ve been mash resting for about 15 minutes, you can either take a wort sample or dip the pH meter right into the top of the mash to get a reading. Again, your goal is to have a mash pH between 5.2 and 5.6. If the mash pH is high or low, you can make chemical adjustments. You need a small scale that measures in grams as accurately as possible, so a jewelry scale If you click this link and make a purchase, we earn a commission at no additional cost to you. is perfect for measuring your brewing salts. For instance, you only need about 500mg (or ½ gram) of potassium metabisulphite to remove chlorine/chloramines from 10 gallons of brewing water. This scale will also come in handy for measuring hops in both grams and ounces. 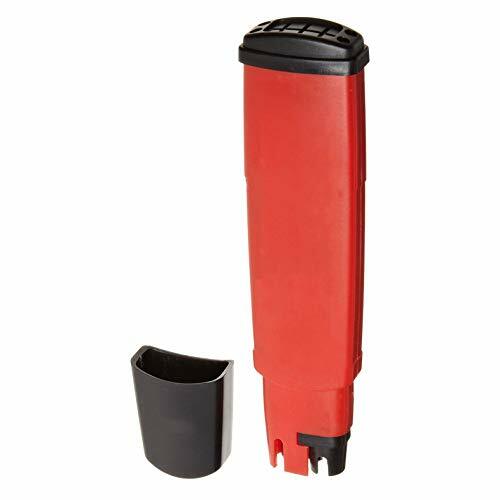 This tool is optional, but it allows you to measure liquid down to the quarter milliliter If you click this link and make a purchase, we earn a commission at no additional cost to you. . This is important for dosing out liquid acid additions for lowering your mash pH. You could also use a teaspoon and just re-test the pH after each addition. Or you could use software to help you calculate exactly how much acid you need. Some are free, some cost, but all will save you a lot of math and headaches. This is a free spreadsheet developed by Martin Brungard, a “civil and environmental engineer with extensive experience in the fields of water resources and geotechnical engineering.” It’s clear the guy knows his stuff. You need to know your existing water profile and your grain bill before using the spreadsheet to calculate mineral additions. It may be intense and a bit intimidating when you first open it, but don’t worry. Marshall at Brülosphy created a great video on how he uses it with Beersmith. If you’re looking for something a little less intense and easier to use, you can try this other free spreadsheet. If you find either (or both) of those spreadsheets helpful, you may want to consider donating to their upkeep. This is an all-in-one brewing solution. One of the best features is being able to do water calculations right in the software. You can even create your own water profiles based on other recipes you like. Even better, you can create a water profile for your home brewery, plug in a target profile, and click a button to get all the brewing salt additions. It’s super simple! BeerSmith costs $27.95, but there’s a 14-day free trial so you can try before you buy. 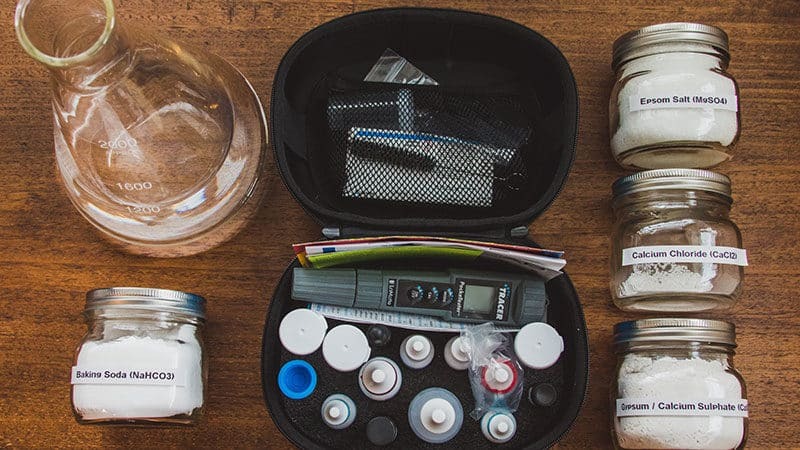 Once you’ve measured your salts and chemicals, you can either add them before or after mashing. And “after mashing” can be as late as right before packaging. This makes a difference in your estimated mash pH calculation. Certain salts like gypsum If you click this link and make a purchase, we earn a commission at no additional cost to you. (calcium sulfate) will decrease the water’s pH, and you need to know that so you can accurately determine what your mash pH will be. While you can add salts and chemicals after you mash, it’s best to add all your salts to all the water you’re going to use before mashing in. Now, depending on your starting water profile and your mineral additions, you may need to add some liquid acid to bring down the water’s pH so you can hit your target mash pH of 5.2 to 5.6. Or you may need to add baking soda to bring it up. You can use brewing software to help you do this before you mash in. Fifteen minutes into your mash rest, use your pH meter to see if you’ve hit your target of 5.2 to 5.6 pH. 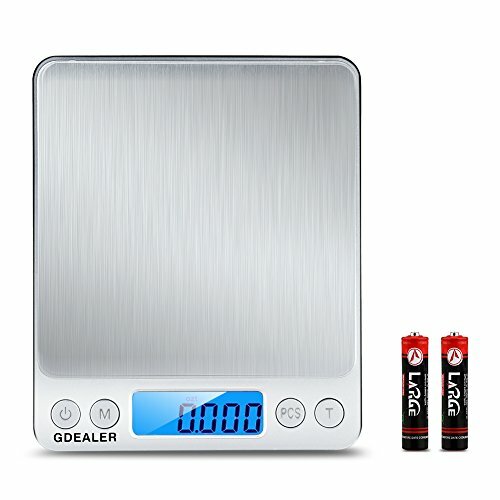 If not, you can use your scale or medicine dropper If you click this link and make a purchase, we earn a commission at no additional cost to you. to add chemicals additions to correct the pH. If your pH is low, you can add baking soda to increase the pH. If your pH is high, you an add lactic or phosphoric acid If you click this link and make a purchase, we earn a commission at no additional cost to you. . Be sure to add small, incremental doses while stirring and constantly measure the pH so you don’t overshoot. Getting your mash pH in this range is one of the most important things you can do for your beer. Note: Most brewing salts dissolve into cold water quickly except calcium chloride If you click this link and make a purchase, we earn a commission at no additional cost to you. . If you’re adding brewing salts to cold water, you’ll need to do a lot of stirring to make sure all the salts are fully dissolved. You can avoid this excessive stirring by adding salts while your strike and sparge water are heating up. Warm water will dissolve these salts more easily. WARNING: Always add salts or chemicals to water. Never add water to salts or chemicals. Safety first! What Water Profile Should You Try to Match? Brewing software usually has built-in lists of different target profiles depending on the style of beer you want to brew. You can also check out this list for some of the most popular ones. Keep two general principles in mind when digging through these lists. If you want a bitter bite, like a classic west coast IPA, you’re gonna want more sulphate and less chloride. If you want a malty smoothness, you’re gonna want more chloride and less sulphate (this is a popular choice for Juicy/Hazy IPAs). There’s one more thing to be aware of. If you’re trying to brew a classic style or a style that’s based on a region, beware targeting the water profile of that time period or place. For example, if you want to make a Pilsner, you shouldn’t base your water profile on Pilsen. Even back then, brewers were making water adjustments. So to blindly copy the water profile of a specific city or region is ludicrous.